Discussion in 'Price Drops, Must-Have Freebies, and Deals' started by tyr2, Aug 16, 2016. 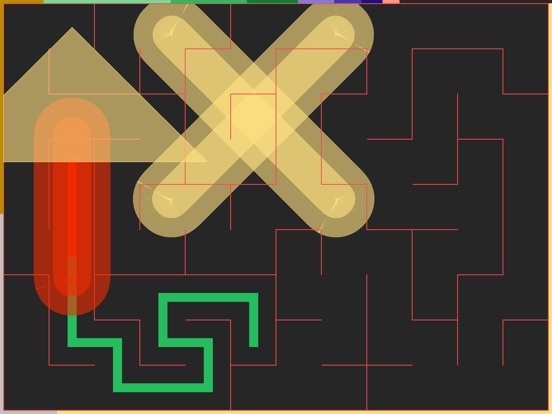 Mazy, my classic maze solving game is free for a limited period. 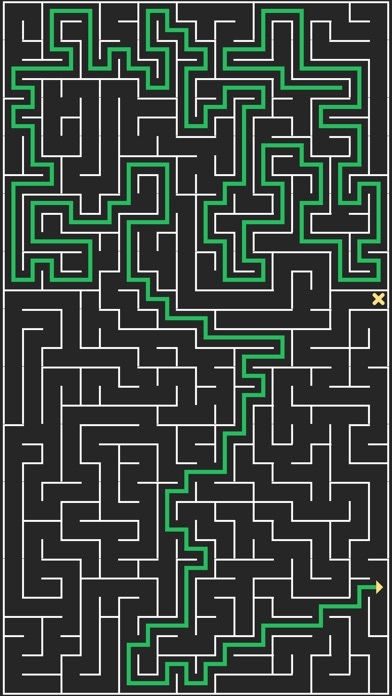 Simple, fun, focused maze solving. Mazes of different sizes, including huge ones if you fancy the challenge. Simple controls where you swipe from junction to junction. A choice of game modes including a Daily Challenge, Time Trial and Sudden Death. No adverts or in app purchase. Full access to everything for free. 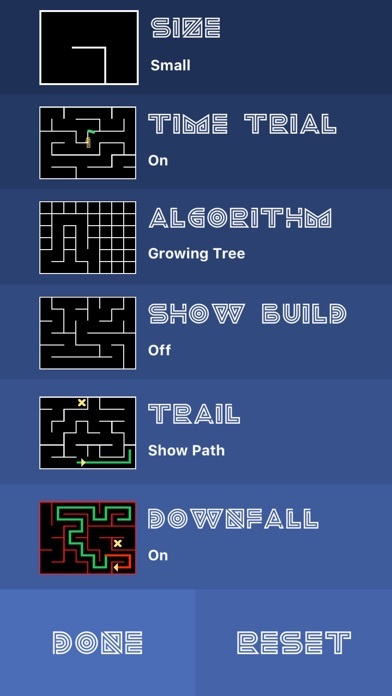 Mazy brings you an unlimited number of mazes and lots of ways to play. 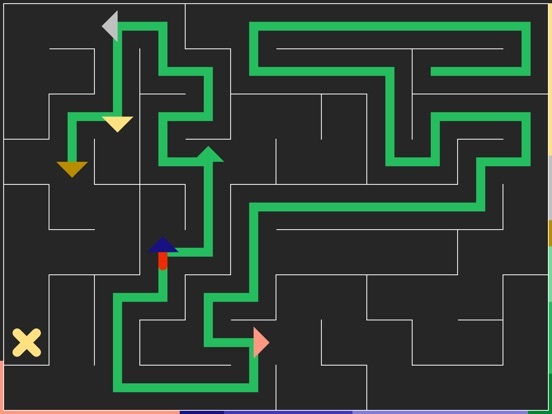 Focus on solving the mazes with Mazy's unique, simple, control system. Play to suit your mood. Feeling risky? Play Downfall where one wrong move will be your last. Under pressure? Play against the clock. Need to relax? Take your time and lose yourself in the maze. Feeling competitive? Play a Daily Challenge. 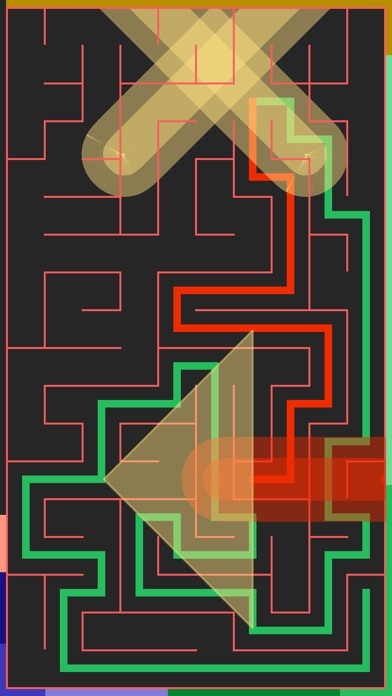 Everyone plays the same mazes for a day, can you get on the leader board? 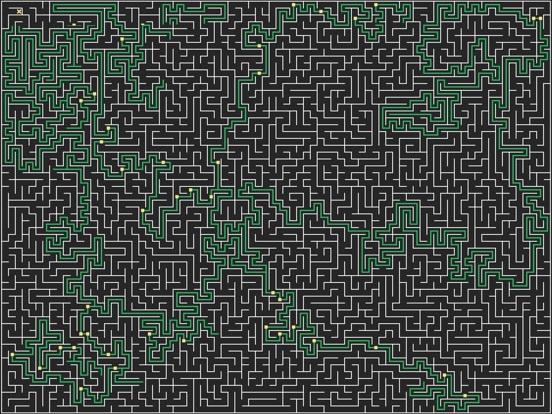 Simple controls make it easy to focus on solving the maze. Just swipe anywhere on the screen to move from one junction to the next. You'll be whisked along until there's a decision to be made. You can watch the mazes be generated and there are 4 different algorithms to choose between, Growing Tree, Hunt and Kill, Prims or Kruskal. 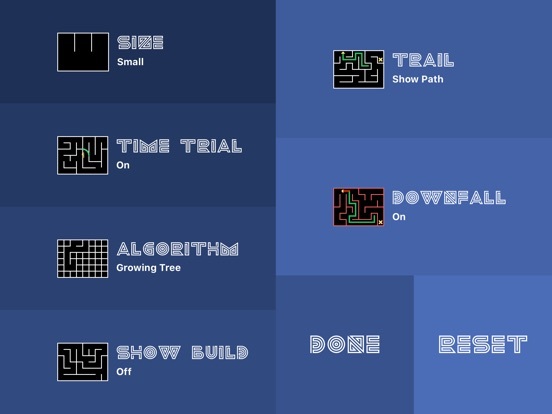 Each different algorithm makes a different style of maze 'texture' with their own challenges to play. 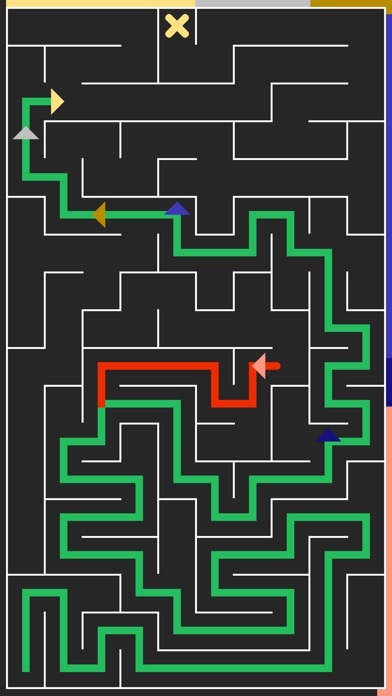 If you get stuck Mazy can solve the maze for you, either just see the solution or see how a breath first, or wall follower maze solver works. If you're finding the mazes too much of a challenge play with 'Assist' mode where you wrong moves will be highlighted when you make then. 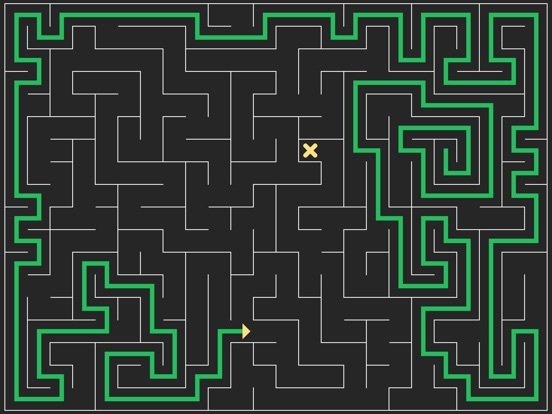 All mazes can be solved, even if some of them seem impossible from time to time! Runs on any device that runs iOS 10.x or later. Full support for iPhone, iPhone Plus, and all iPad sizes. No adverts and no 'in app purchase'. We respect your purchase and want to give you the best experience possible! App Store Reviews from around the world: 5 Stars - China - openinsight "i just can not describe how much i love this game." 5 Stars - USA - Martim80 "This game is great to wake me up in the morning or to perk up my brain activity in the afterlunch coma. Extremely simple and easy interface. Perfect for those 5-minute brain-stretch breaks." 5 Stars - Mexico - Rodrigo3k "Very nice design. A lot of customizable features." 5 Stars - Australia - ThePhoenix100 "Basic enough to get the hang of the game quickly, but enough dead ends in the maze to keep you guessing." 5 Stars - USA GeraldShudy - "I was surprised at how engaging it was. 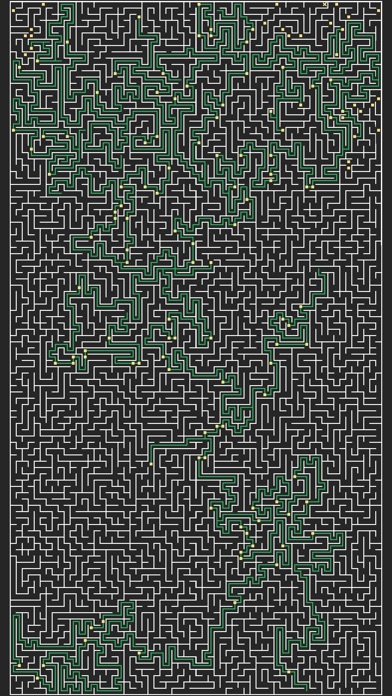 What a maze application *should* be!" Thank you! Very recommended casual game! Incredibly deep thought through. Forgot to say above, there will be an Apple TV version available in the next few months. Probably free to those that already have the iOS version.